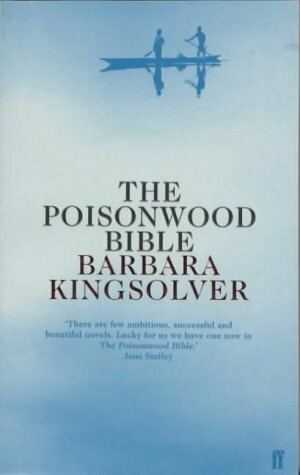 This month the chain begins with The Poisonwood Bible by Barbara Kingsolver, one of my favourite books. I’ve read it several times. 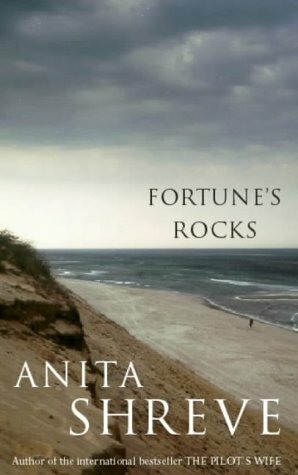 It’s Fortune’s Rocks by Anita Shreve. I had never heard of Anita Shreve, but I liked the look of this book – and the fact that it’s a chunky book of nearly 600 pages, good to read on holiday. It’s set in the summer of 1899 when Olympia Biddeford and her parents are on holiday at the family’s vacation home in Fortune’s Rocks, a coastal resort in New Hampshire. She is fifteen years old and this is the story of her love affair with an older man. When I looked at it today, I saw that it’s written in the present tense. Recently I’ve been writing about my dislike of the present tense – but I obviously haven’t always disliked it, because I remember really enjoying this book. 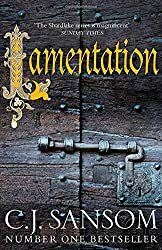 Lamentation by C J Sansom set in 1546, the last year of Henry VIII’s life. Shardlake, a lawyer is asked by Queen Catherine (Parr) for help in discovering who has stolen her confessional book, Lamentation of a Sinner. It evokes the people, the sights, smells and atmosphere of Henry’s last year and at the same time it’s an ingenious crime mystery, full of suspense and tension. The next book also combines historical and crime fiction – Barnaby Rudge by Charles Dickens, set in 1780 at the time of the Gordon Riots. It’s a story of mystery and suspense which begins with an unsolved double murder and goes on to involve conspiracy, blackmail, abduction and retribution. Barnaby Rudge is a simple young man, living with his mother. His pet raven, Grip goes everywhere with him. He’s a most amazing bird who can mimic voices and seems to have more wits about him than Barnaby. Grip is based on Dickens’s own ravens, one of whom was also called Grip. to The Raven’s Head by Karen Maitland, set in 1224 in France and England about Vincent, an apprentice librarian who stumbles upon a secret powerful enough to destroy his master. He attempts blackmail but when this fails Vincent goes on the run in possession of an intricately carved silver raven’s head. The plot revolves around the practice of alchemy – the search for a way to transform the base soul of man into pure incorruptible spirit, as well as the way to find the stone, elixir or tincture to turn base metals into precious metals. 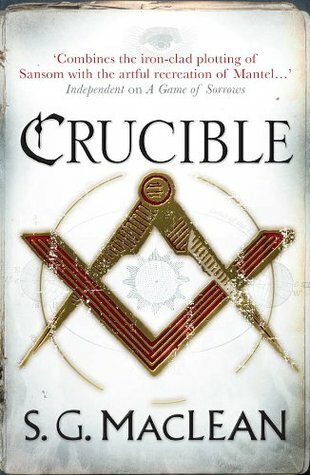 Crucible by S G MacLean, the third of her Alexander Seaton books. Set in 1631 in Aberdeen Robert Sim, a librarian is killed. Alexander investigates his murder and finds, amongst the library books, works on alchemy and hermetics – the pursuit of ancient knowledge and the quest for ‘a secret, unifying knowledge, known to the ancients’ since lost to us. S G MacLean’s books are full of atmosphere. I think her style of writing suits me perfectly, the characters are just right, credible well-rounded people, and the plot moves along swiftly with no unnecessary digressions. My chain this month has travelled from Africa to Scotland via America and England, and spans the years from the 13th century to the mid 20th century. 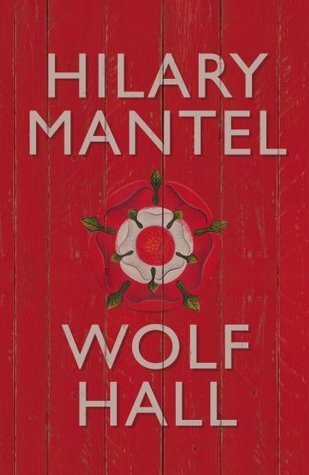 It has followed a missionary and his family, a teenager in love with an older man, and looked in on power struggles in Tudor England, and the pursuit of the secret to turn metal into gold. 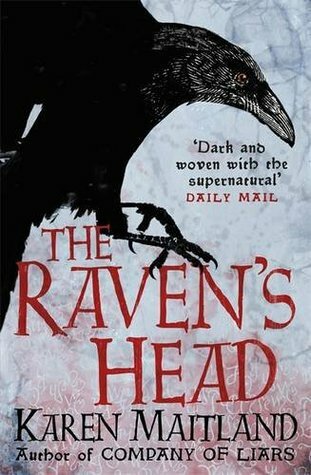 Links are: books I bought to read on holiday, books in the present tense, crime fiction and historical fiction (and a combination of these genres), ravens and alchemy. Next month (June 2, 2018), we’ll begin with Malcolm Gladwell’s debut (and best seller), The Tipping Point, a book and author I’ve never come across before. Once again I am behind myself with writing about the books I’ve read! So here are just a few thoughts about C J Sansom’s historical novel, Lamentation, the sixth Matthew Shardlake book. 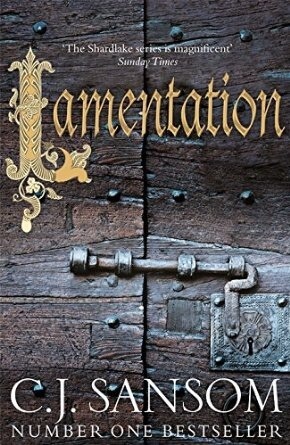 I have enjoyed the earlier books in the series so I had great expectations for Lamentation and I wasn’t disappointed. It’s set in 1546, the last year of Henry VIII’s life. Shardlake, a lawyer is asked by Queen Catherine (Parr) for help in discovering who has stolen her confessional book, Lamentation of a Sinner. What I like about these books is their historical setting and the Historical Notes giving yet more background to the period and emphasising that because the sources are ‘very thin’ that inevitably this is Sansom’s own interpretation of events and clarifying that Catherine Parr’s book was not, in the real world, stolen. The book evokes the people, the sights, smells and atmosphere of Henry’s last year and at the same time it’s an ingenious crime mystery, full of suspense and tension. It begins as Shardlake is ordered to watch the burning at the stake of Anne Askew and other heretics (a real event). I’m not good at reading horrific scenes, but I managed this one without too much mental aversion of my eyes. Along with the mystery of the missing book, Shardlake is working on the Cotterstoke dispute between rival siblings, and has problems at home with his domestic servants. I was also very taken with Shardlake’s introduction in Lamentation to William Cecil, Mary Tudor and a young Elizabeth I. I hope Sansom has more Shardlake books in mind.